A mate of mine has just introduced me to GruntZ, a 15mm SF wargame which allows you to use just about ANY 15mm SF wargames figures known to man. It look nice and tasty, and I have ordered some nice and tasty models from Critical Mass Games. But they are in the UK, and I am in the damper part of southern Australia. So the will take a while. 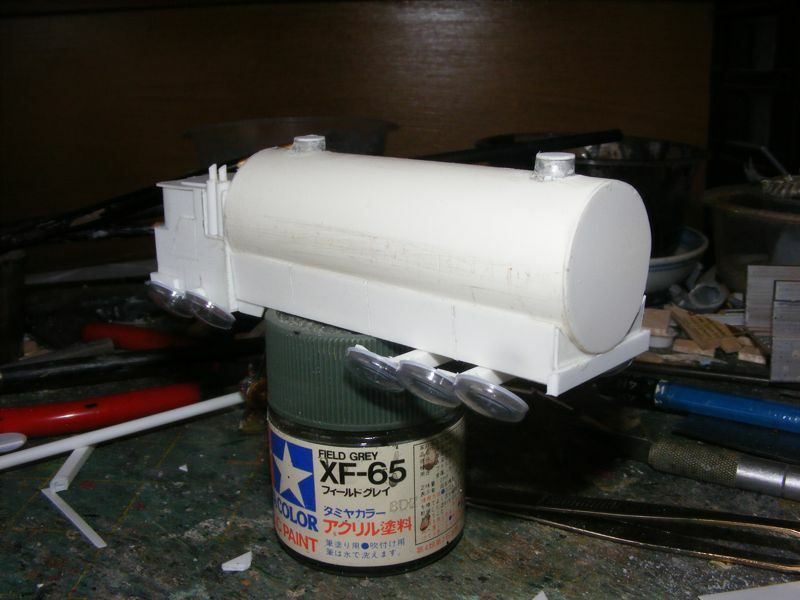 In the mean time, I've decided to have a bash at scratch building a 15mm Hover Truck tanker from Plasticard anf PVC pipe and what not. 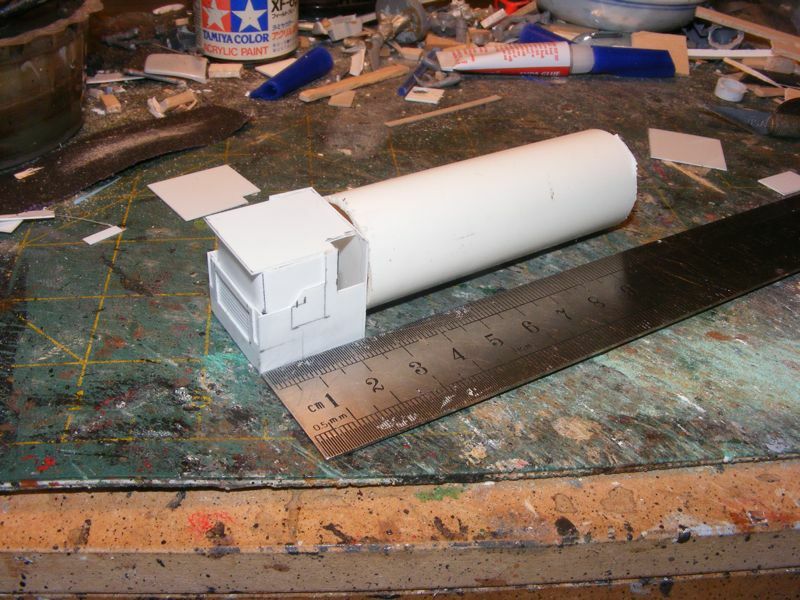 I'll probably end up doing some terrain as well - I plan to do a Terrain For Hippos double ishoo on 15mm SF terrain including a scratch build cargo shuttle, but I am waiting for some materials for that one, and what with the TFH schedual, it'll be a while anyway. Now, to the Truck! This managed to keep me awake most of last night, although I suspect there were other factors there. Anyway, it's a heavy, rigid chassis hover truck fitted with a massive liquid tank for fuel, water, toxichem, whatever. It's really not a combat unit at all, it's just something to fight over! I've done a rough plan using Inkscape - this is handy because you can actually type in the exact sizes you want shapes to be. I've started to assemble the cab; it's a bit out of true probably due to mismeassurements somewhere, but I'm going to run with it. As you can see, there's not much to it yet, and it's about 10cm long. 15mm is that warhammer 40k scale? only figure game i have is heroscape, very simple. very. 15mm is HALF the size of 40K. Roughly 1:120ish scale. 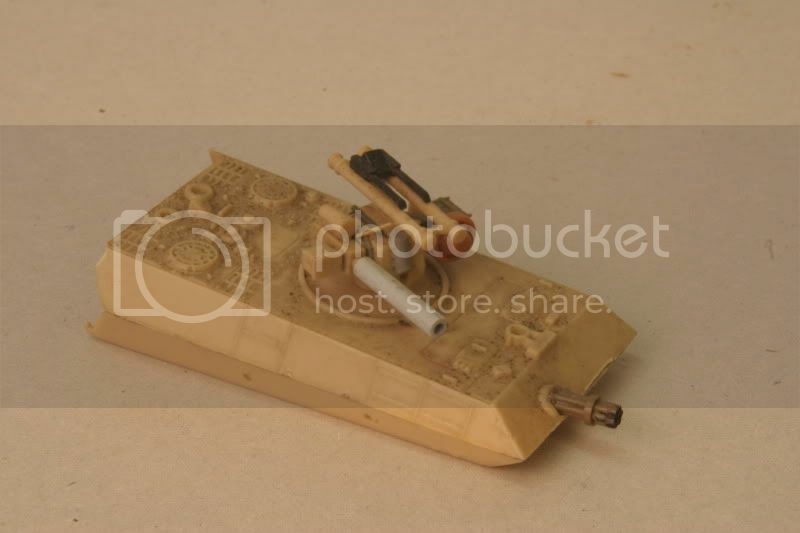 The largest super heavy tank available in 15mm that I know of it 10cm long. These are the chaps I am getting. 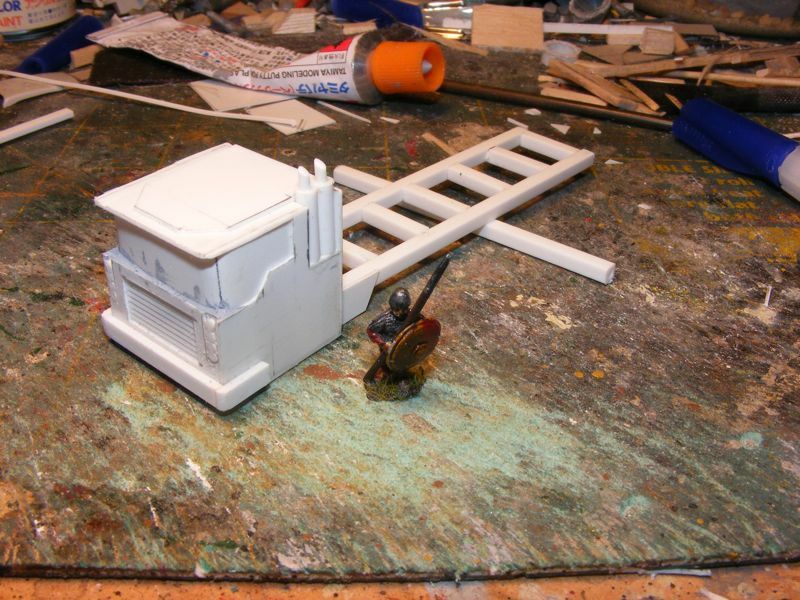 Got most of the cab done, needs a bit more detailing work of course. 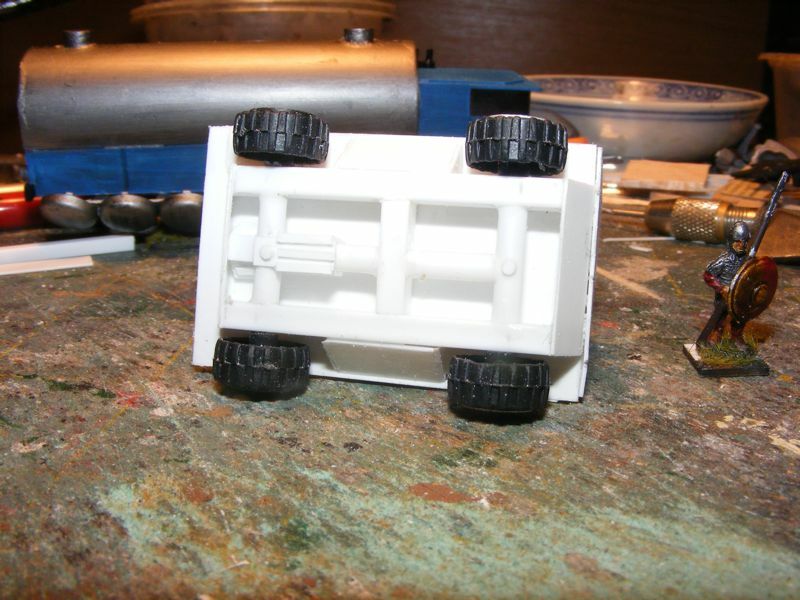 The rear chassis frame is built and installed, but obviously needs a ton of detailing etc. I've also started work on the tank, but nothing much yet, so no pic. I used to play Laserburn, which was a 15mm SF wargame, although with a specific background. 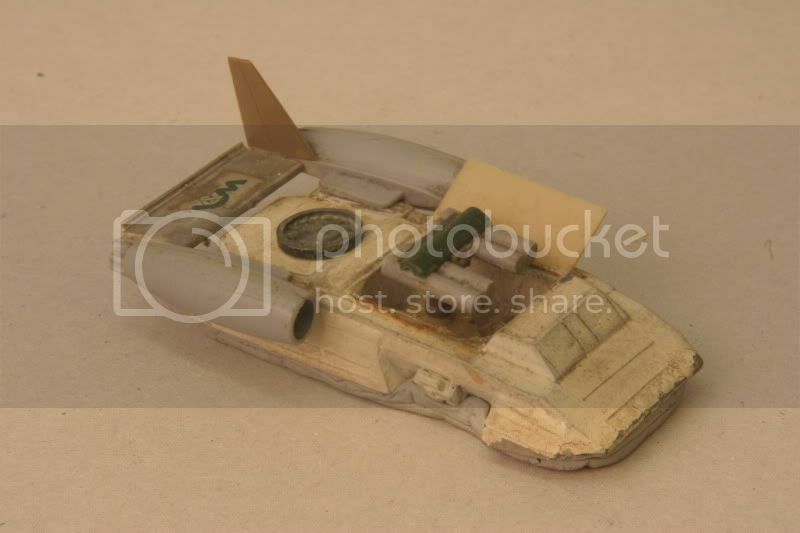 I still have loads of figs and vehicles for it. 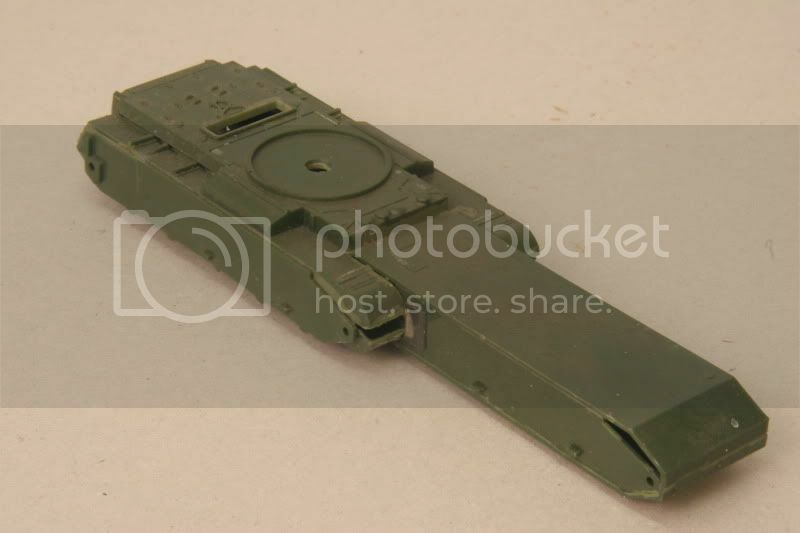 UK company PLASTIC SOLDIER have introduced a range of 15mm real-world WWII figures to go with their 1/72nd ones, and have introduced tanks to go with them. These are "easy-build" injection plastic kits (like Armourfast) and are good value for money, at £16.50 for a box of FIVE (1/72nd are £12.50 for a box of three). 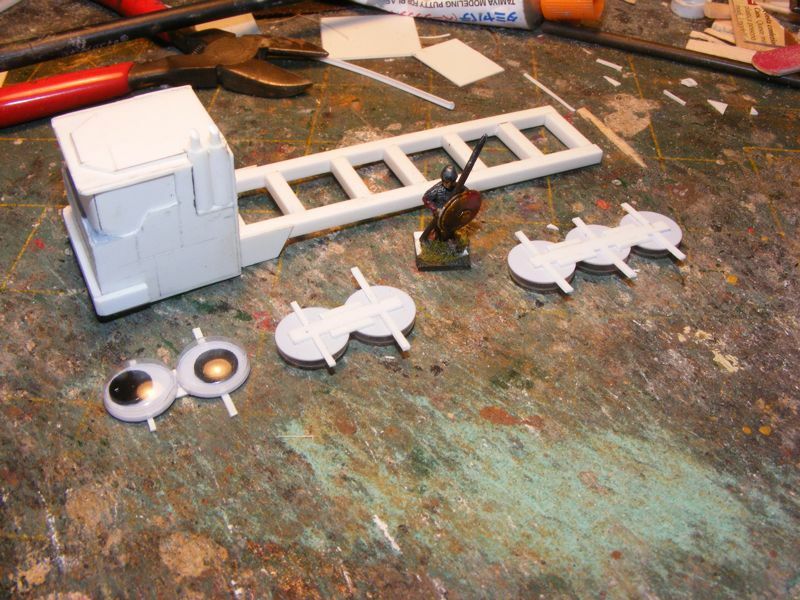 They do a pack of T-34s which are good sci-fi fodder: I built a whole unit of 1/76th T-34 based "grav tanks" once. 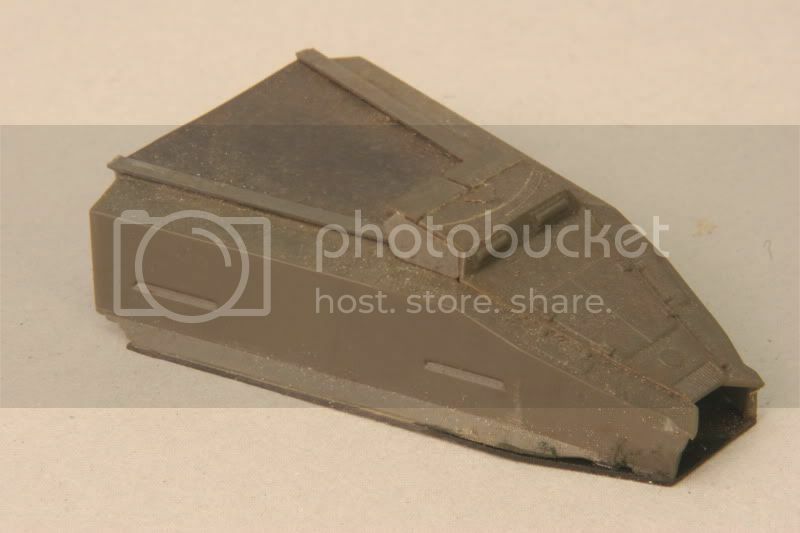 There's a nice, easy way to turn a Panther or Jagdpanther into a sci-fi vehicle too: get a 1/76th or 1/72nd kit (Revellobox is ideal) where the track area is moulded as two L-section pieces, and just reverse them, so that they "fill out" the silouette of the hull. All you have to do then is cover or use the square holes at front and back any way you want. I've gone with googly eyes for the repulsor gear. There's still some more clean up work to do, and some details. It's hard to see in the pics, but I have scribed doors in and there's some scribed panel details on the panels under the tank. Not to hijack the thread; but Weaver, that M8/M20 conversion is a clever idea. 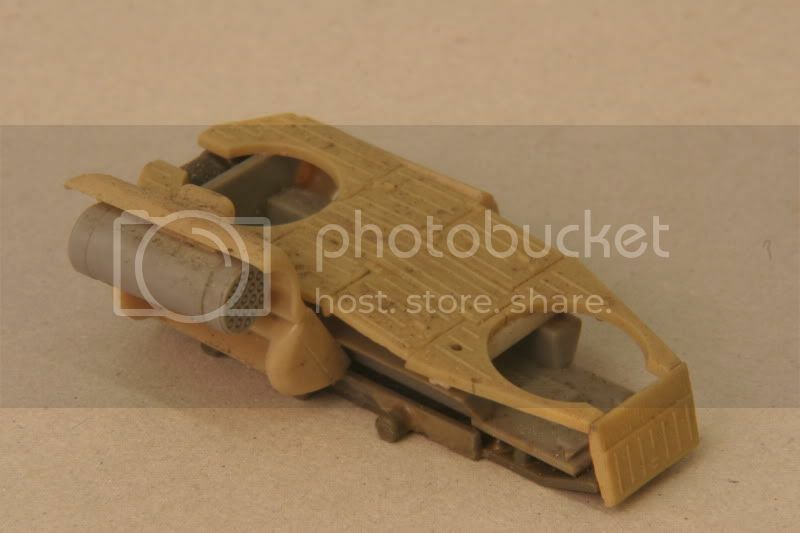 Makes me want to follow the thought, but keep it in the WWII idiom, thus perhaps an M8 mortar carrier, like they did with the half-tracks and later the M-113. PW, I never would have thought of the googly-eyes repulsors, thanks for sharing!! The M8's got quite a futuristic look to it, so it's a natural hover vehicle. 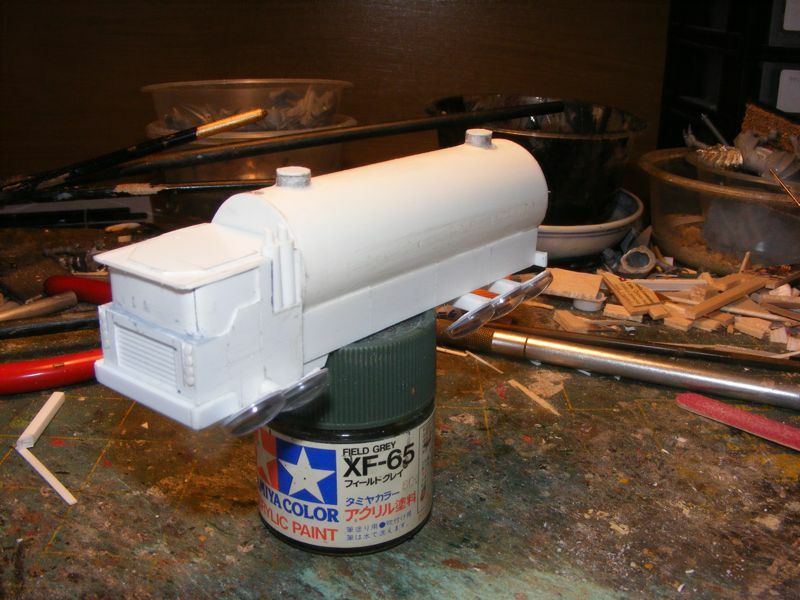 Another would be the M10/36 hull, but that wasn't available in kit form in the days when I did those. I like the use of googly eyes too. I've got a pack of these, but I mostly intended them as clear dome windows with the backing and "iris" removed. PW may confirm or deny, but this use of them seems to be inspired by the repulsors used on the rebel craft in the Matrix films. PW may confirm or deny, but this use of them seems to be inspired by the repulsors used on the rebel craft in the Matrix films. NO worries, Weaver, I've painted over them numerous times for TFH. 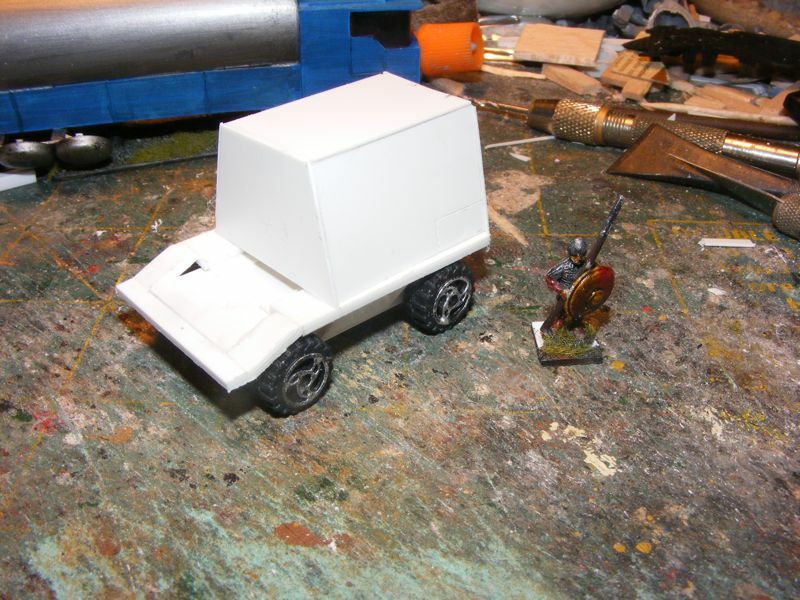 I've started painting (it's blue), and this arvo I will go shopping for toy cars to base new wheeled vehicles on. 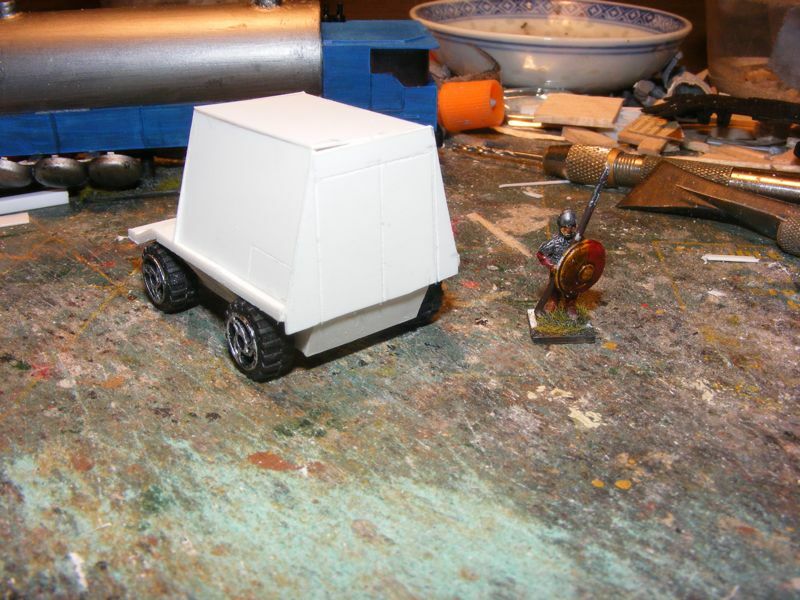 I've got a few designs nutted out, probably going to do them up as requisitioned Militia vehicles - think Jones' van from Dad's Army as an SF all terrain truck. 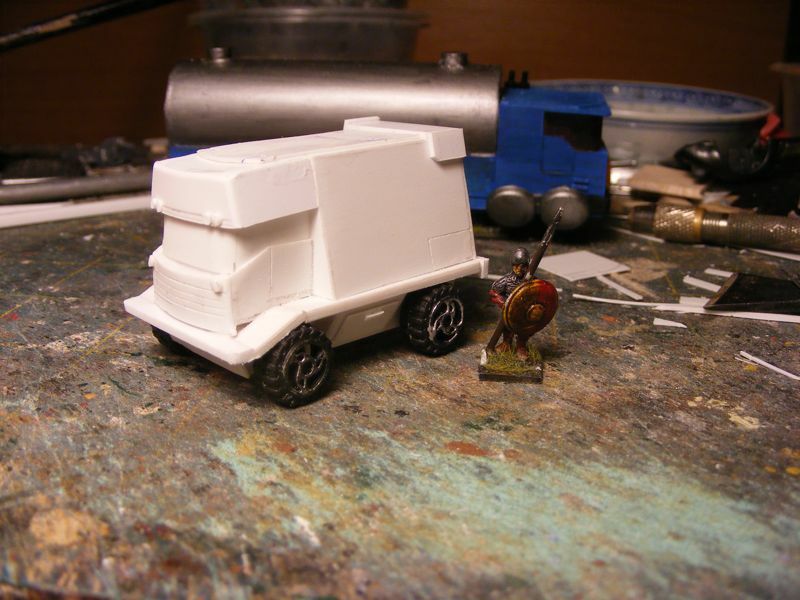 I've started the next truck. the new one makes me think of the "hot wheels" surfer mobile. Just a little clean up to be done now on the van. And I'm thinking about the next vehicle. Not getting anywhere really, probably another truck, just not sure on design or purpose. Fantastic!! I love these vehicles!